Chinese astrology is undoubtedly the oldest coherent method of divination in the world  it came into existence some seventeen centuries before the Bible. It has influenced  and even regulated  the lives of countless generations in the Far East from time immemorial. Contrary to what one might think, the progress of modern science in all fields has not tarnished its image as an esteemed guide to human destiny and self-discovery. In fact, the East Asians are no longer the only persons to have recourse to Chinese astrology; more and more people in the industrialized, rationalistic Western world, and especially in the United States, are getting awakened to and interested in this system of fortune-telling which took root in one of the most prestigious known civilizations. The foremost origins of Chinese astrology are shrouded in the haze of the ancient times. No one is able to tell exactly when and under what conditions this method of divination came into use. 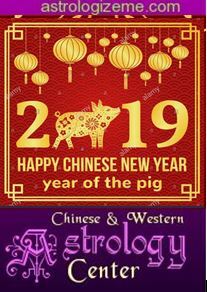 It is known however that Chinese astrology under one form or another had been widely practiced in the Orient since the 40th century BC and especially since the times of the Chinese Emperors Fu Hsi (2953-2838 BC) and Shen Nung (born in the 28th century BC). This discipline was codified by Ta Nao, an able minister of Emperor Huang Ti (born c. 2704 BC), whose reign had begun in 2697 BC. It was officialized in 2637 BC. Its formal inauguration, among other historical events, was designed to celebrate the sixtieth anniversary of the popular Emperor's accession to the throne. And during the following forty-six centuries it was used as the canon of all state affairs in China.